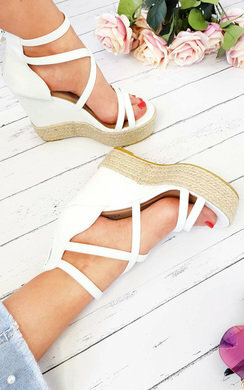 We all about the KARLIE wedges this season boo! Feauturing a sleek embellished studded tie detail, buckle fastening, wedge heel and faux suede finish. Style with a bardot dress for the ultimate glow-dess look.